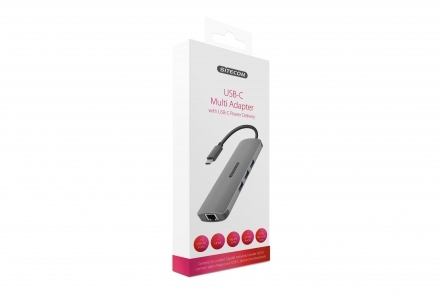 The CN-382 USB-C to HDMI Adapter from Sitecom lets you connect a TV, monitor or projector that uses HDMI, any USB device and your USB-C power cord to the USB-C port of your MacBook, Chromebook or Windows notebook to charge. You can even enjoy high speed internet via the Gigabit LAN and transfer photos and videos via the SD&MicroSD slots. 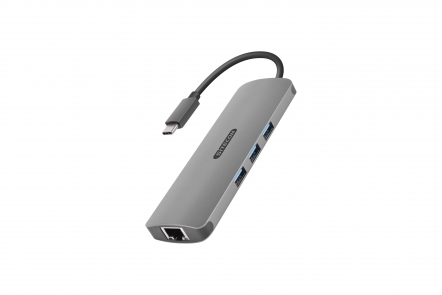 Connect an HDMI screen to the USB-C port of your MacBook, Chromebook or Windows notebook.